A versatile tool for Maths, grade 1 to 4. ● Ideal for teaching how to tell the time. ● Provides practice with both analog and digital formats. ● Matching the analog clock to the digital display or vice versa. ● Features a traditional clock face with 24 hour format. ● Clock face displaying counting by five minutes. ● Suitable for all, be it a class or an individual. ● Perfect for a desk, this flip chart is made ofsturdy, waterproof and tear-proof PVC board. 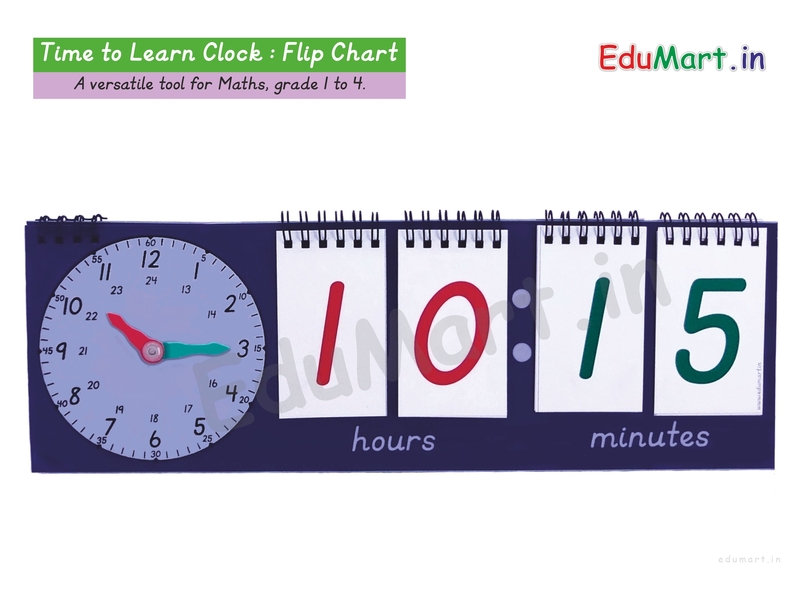 Time to Learn Clock : Flip Chart : It is a teaching aid to teach clock and time. A spiral binding at the top allows you to flip over 4 sets of numbers cards to display the digital times. The unit value is labelled below the cards (i.e. hours, minutes). When flat, it measures about 37 x 17 x 1.5 cm and when upright it is about 13.5 cm tall. Size of the flip cards : Approx. 9 x 5.1cm. 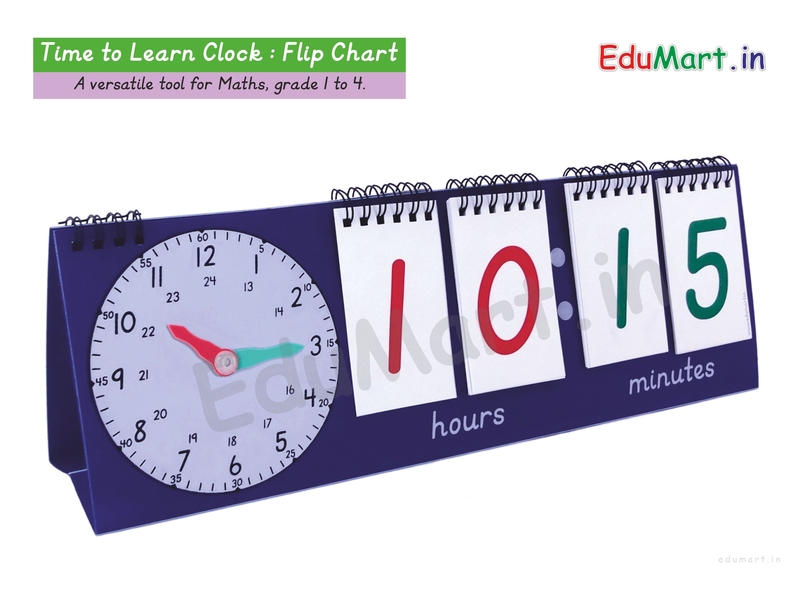 Teaching aid for Clock, Educational aid for Clock and time.